Sitting on the western rim of the Sichuan Basin, Mount Emei is a scenic area in Emei City, stretching over 15,400 hectares. Its highest peak is Wanfo Peak, with an elevation of 3,099 meters. Mt. Emei has a steep terrain and boasts some great natural scenery. It is covered by more than 3,000 kinds of plants, including a number of rare trees. 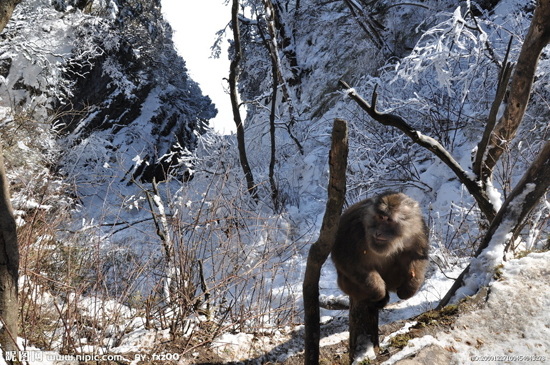 Groups of monkeys are often seen by the mountain roads, looking to get some food from the travelers. As one of the Four Sacred Buddhist Mountains of China, Mt. Emei features some 26 temples, including 8 major ones, which frequently hold Buddhist ceremonies.